Good Night, Little Love By Thomas Nelson is an amazingly cute book! I love that it's a board book and that the illustrations are vibrant and beautiful. I love to read this to my kids before bed to reassure them how loved they are. It's the perfect book to end the day with and to help your little ones have sweet dreams while nestled in their warm and cozy beds. 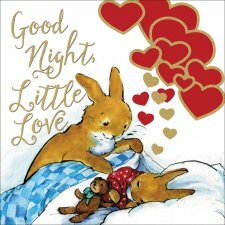 I also love that Good Night, Little Love By Thomas Nelson helps kids look forward to all the adventures that tomorrow brings. This is a terrific addition to your children's bedtime routine! You can find Good Night, Little Love By Thomas Nelson on Amazon, Barnes and Noble and other bookstores.